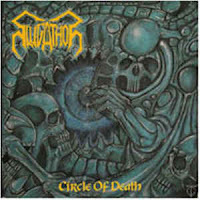 The traditional sound of Finnish death metal was represented by Slugathor during their decade long active period. They've started with an intense old school debut, and on the second album "Circle of Death" they went forward by giving place for other influences. Their music is based on old school death metal with deep growls that they completed with a second backing vocal to increase the insane impression. This they amplified with doom influences by common slow downs and noisy, heavier sound. All that gave a great opportunity to add the short simple repetitive melodies that are quite common to find in Finnish death metal. These melodic parts are effective by creating a contrast with the noisy/heavy background and resulting some netherworldish dark impression. "Circle of Death" may remind to old Asphyx or Bolt Thrower by it's combination of speed changes and heavy themes, but after more listening it gets clar that the band preferred to keep their local influences. The album offers excellent entertainment in high quality for the most committed fans of old school death. 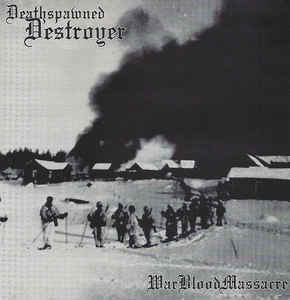 Deathspawned Destroyer debuted with a quite raw, noisy and insane album, that sounded like a primitive approach of goregrind from the direction of basic old school death metal themes. The band have returned with a less bloodthirsty, doom influenced record. It seems like "WarBloodMassacre" they tried to compose to be more unified, and maybe that's the reason why the doom influences came. The themes are referring to the sound and simplicity of old Asphyx, but the primitive and raw impression became more evident in this case by how they tried to build up their songs. War as the main concept also telling about the strong influence of Asphyx. The album includes catchy themes too on the side of noisy basic riffings, but sometimes the the selection of repetitively played parts didn't work out well, and hardly fitting together with the rest of the songs. This reminds to how some older German death metal bands tried to experiment to create something unusual, and how that was leading to something weird. The main feeling is similar to Apophis: common slow downs and involved simple melodies to create some contrast with the heavy sound and deep growling/animalistic vocal style. It's not completely clear how much the band was determined to turn into death/doom, or it was more like some spontaneous experiment, but the results are interesting. 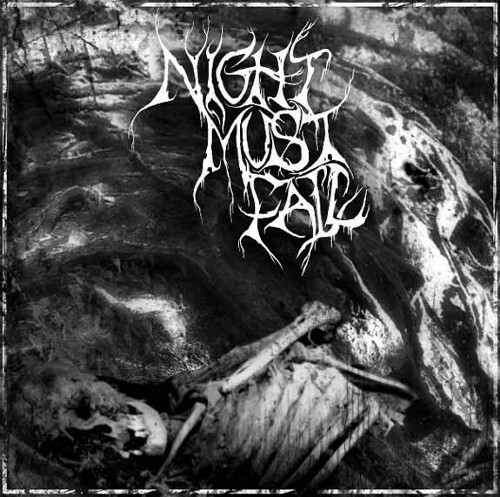 Influenced by Thergothon, the most important creators of funeral doom, Night Must Fall showed another example of Finnish happiness. Their self-titled demo and debut EP was relesead together in the form of a compilation, so it includes total 3 songs that are lasting together almost an hour long. That means decent song lenghts, so the album offers itself as an excellent background music for the lovers of heavily depressed moods to merge into self-tormenting agony. 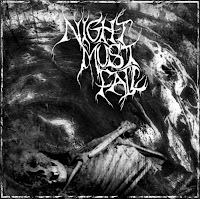 Since the classics of the genre remained in quite bad/noisy quality, the clear sound of Night Must Fall (even their demo had incomparably better sound quality) could show wider perspectives. The band strictly followed the style features that Thergothon operated with a decade earlier. The deep growling vocal has stronger effect, but because of it's rare appearence and the endlessly long depressive harmonies, it's role isn't bigger. The EP song is more like a rehearsal improvisation, that means they've focused more on the effect of noises than melodies, and they combined their themes diverse, but according to it's over 22 minutes lenght of course. This piece of musical uncreation might be interesting for the fans of funeral doom. The other fact about Nine Inch Nails on the side that they showed up always with something completely different than before is: they didn't do that so often. 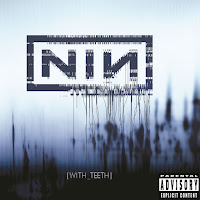 Even though the project exists since the late '80s, "With Teeth" was only the 4th full-lenght NIN album. 6 Years have been passed since "The Fragile". Many things could happen during such a long time, and they did happen too. 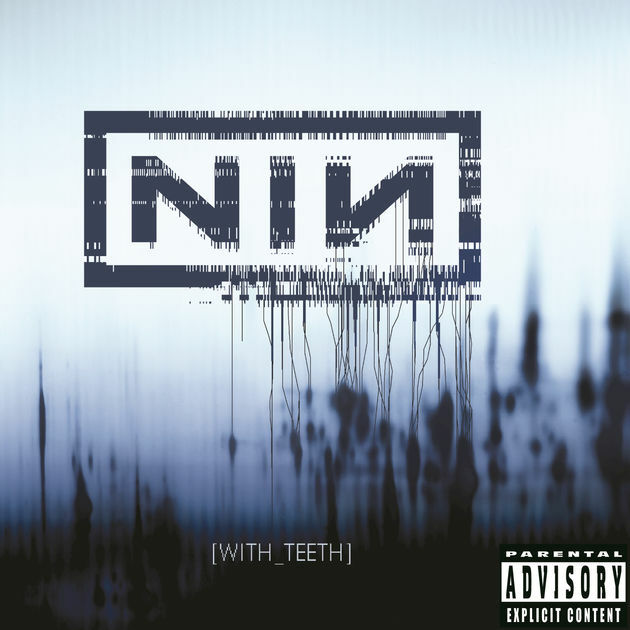 Mr. Reznor was quit from drugs and his heavily self-destructive lifestyle, so it's not a wonder that "With Teeth" is like an awakening with terrible hungover after a long night. The album sounds surprisingly clear and balanced compared to the earlier NIN records. The constant rebelling and dark tone was vanished and by being quit from self-destruction, it's side-effects (like depression and self-hate) were gone too. Of course it's still not compatible with the charts and a red carpe diem stamp also wouldn't fit on the cover. On the side of the lyrics still there are noises to find that are transmitting negative impulses and telling about further inner struggles. They appear only in a less frustrated level than before, and they seem to calm down after they've got out instead of keeping the main feeling aggressive. Since NIN reached some cultic status after "The Downward Spiral" and "The Fragile" was like oil on fire, the fans probably expected something world changing from the return. "With Teeth" was definitely not what they awaited for, but showed a new direction instead. Still, everything that was impressive about NIN showed up on this album again for the last time in a shranked, lighter version. Even though the mix of industrial and extreme styles was nothing new, it always counts as something extraordinary. Not only because it's a rare thing to experiment with, but also because the list of bands who did it right is quite short. Not to mention that the audience of industrial and extreme genres are rarely opened to such experiments. "Code of Fate" was the second EP of Inseason, a short living band, who was able to create something unique by accomplishing their bold idea to mix industrial with death metal. With melodic death in their case, bacause pure death is hard to combine with electronic music on the necessary level of intensiveness without becoming unenjoyable, hilarious, or losing too much from it's death metal features. But by invloving more melodies the idea was reasonable and managable the same time, so the style selection was wise. Except a few big names it seemed like industrial was forced into background since the mid '90s, so to hear modern electronic music features might be strange. But in truth the style just took another direction, further from being metal-compatible, and not many tried to use up it's new form. The other industrial influenced styles like nu metal stayed at the '90s, and older bands also didn't try to keep up with the new tendencies. These modern electronic influences gave a dark and cold impression to Ineason's music and they found the way how to involve their simple and repetitive guitar themes. By growling female vocals was their genuine style completed. Though the start was very promising, the band unfortunately disappeared without writing metal history. If new waved death metal bands of the '00s didn't have technical or progressive ambitions, and also don't wanted to turn brutal, they chosed the melodic path. 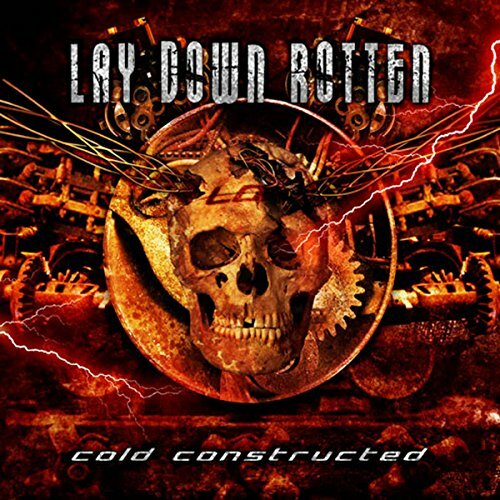 The music of Lay Down Rotten was another perfect example of the modern sound of death metal. All their musical features illustrated well the preferences of the '00s. Their music was so melodic that they were not far to be called as a melodic death metal band. The only reason why they could avoid this denouncement is that their songs are too complex. Even though their music almost completely lacks typical death metal riffings and song structures, they didn't turn to "brutal heavy metal" like most other bands do in that style. Their themes are more diverse by building from others styles too, such as groove metal and thrash for instance, and the songs didn't lose from their intensiveness to express emotions. They preferred to turn occasionaly sick instead. By the vocals they also followed the modern trends of turning everything more diverse, as a second backing vocal was involved. The lyrical topics partly stayed on the old school field of violence, murder and death, but these are also showing the same modern tendencies by their different approach. 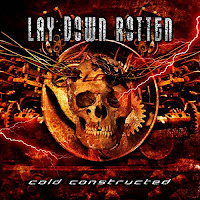 Lay Down Rotten was formed by great musicians who really knew how to do their job, but the death metal they played is more recommended for those who are not really into death metal and don't like it's usual characteristics. Even though there are plenty of ways how black and death metal could be mixed, somehow it sounds interesting if it's not performed by following the most common recipes. In the case of Black Bleeding it sounds chaotic and random. "The Awakening" is a demo record that had various releases lately. At the beginning they sound like a typical modern death metal band with two different vocal styles and gore based concept, but soon the themes completely switch to black metal for a while. These changes coming unexpectedly and fast, and there isn't enough time to get used to the blackened themes before they switch back. So the intense death hammering stays dominant, but these switching parts made the demo more interesting and diverse than ordinary brutal death bands. The songs also had some raw experimenting touch, so the black metal influences seems like took place as one of them. But while the other chaotic changes and interesting musical solutions didn't give any character to the music, the black themes did despite their short term showing up. Later the style of the band became more unified and good quality albums came out from their hands. Black Bleeding could be an excellent choice for extreme metal fans who wants to listen to something uncommon.